For junior/senior undergraduate and first-year graduate courses in Operations Research in departments of Industrial Engineering, Business Administration, Statistics, Computer Science, and Mathematics. 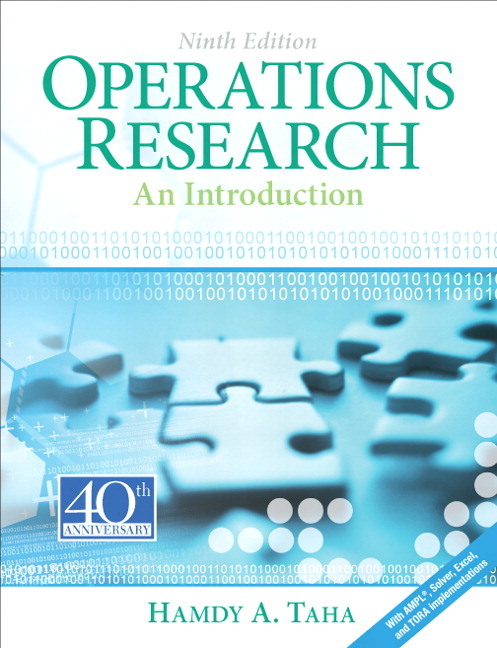 Operations Research provides a broad focus on algorithmic and practical implementation of Operations Research (OR) techniques, using theory, applications, and computations to teach students OR basics. The book can be used conveniently in a survey course that encompasses all the major tools of operations research, or in two separate courses on deterministic and probabilistic decision-making. With the Tenth Edition, the author preserves classical algorithms by providing essential hand computational algorithms as an important part of OR history. Based on input and submissions from OR students, professors, and practitioners, the author also includes scenarios that show how classical algorithms can be beneficial in practice. These entries are included as Aha! Moments with each dealing with stories, anecdotes, and issues in OR theory, applications, computations, and teaching methodology that can advance the understanding of fundamental OR concepts. Instructors should click the “Register” link and follow the on-screen directions to access the site. Instructors need a Pearson Education account to register, but do not require an additional Access Code. 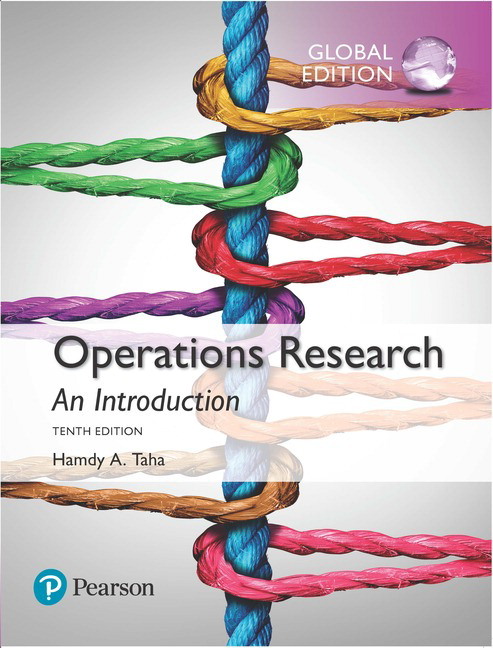 Students can access the Companion Website by redeeming the Access Code included in the front of their new copy of Operations Research, 10/e. Students can also purchase Companion Website access online. Added text mini-updates appear throughout the book. Computational issues in the revised simplex method appear in Chapter 7, including a comparison between product form and the LU decomposition used with the revised simplex method. Using a brief introduction, inventory modeling is presented within the more encompassing context of supply chains. This edition adds two new case analyses, resulting in a total 17 fully-developed real-life applications. All the cases appear in chapter 26 on the website and are cross-referenced throughout the book using abstracts at the start of their most applicable chapters. For convenience, a select number of these cases appear in the printed book (I would have liked to move all the cases to their most applicable chapters, but I am committed to limiting the number of hard-copy pages to less than 900). By popular demand, all problems now appear at end of their respective chapters and are cross-referenced by text section to facilitate making problem assignments. New problems have been added. TORA software has been updated. Excellent support software, both for understanding the OR algorithms (e.g., interactive TORA and Excel spreadsheets) and for solving large practical OR problems (e.g., AMPL and Excel Solver) relieves the tedium of hand computations and allows students to concentrate on understanding the OR concepts. Each chapter includes subsections named Excel Solver, Excel spreadsheets, TORA, and AMPL Moments that explain how computations are carried out, both at a tutorial level and in practice. Fully-developed case studies are available on the Companion Website.. Chapter 26 presents 15 fully-developed real-life applications, with summaries given in pertinent chapters, to emphasize the practical applications of OR. 1. 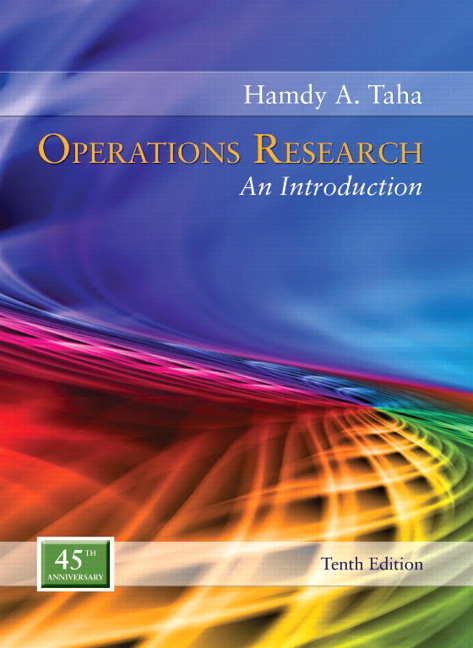 What Is Operations Research? Hamdy A. Taha is a University Professor Emeritus of Industrial Engineering with the University of Arkansas, where he taught and conducted research in operations research and simulation. He is the author of three other books on integer programming and simulation, and his works have been translated to numerous languages. He is also the author of several book chapters, and his technical articles have appeared in operations research and management science journals. Professor Taha was the recipient of university-wide awards for excellence in research and teaching, as well as numerous other research and teaching awards from the College of Engineering, all from the University of Arkansas. He was also named a Senior Fulbright Scholar to Carlos III University, Madrid, Spain. He is fluent in three languages and has held teaching and consulting positions in Europe, Mexico, and the Middle East.